Can you imagine a fitted bed sheet made from natural fibres, which is stronger, softer and more long-lasting than cotton, is waterproof , ‘breathes’ and which protects your mattress? The B-Sensitive fitted bed sheets are the first waterproof bottom sheets made from natural fibres which look after your skin and at the same time protect your mattress. 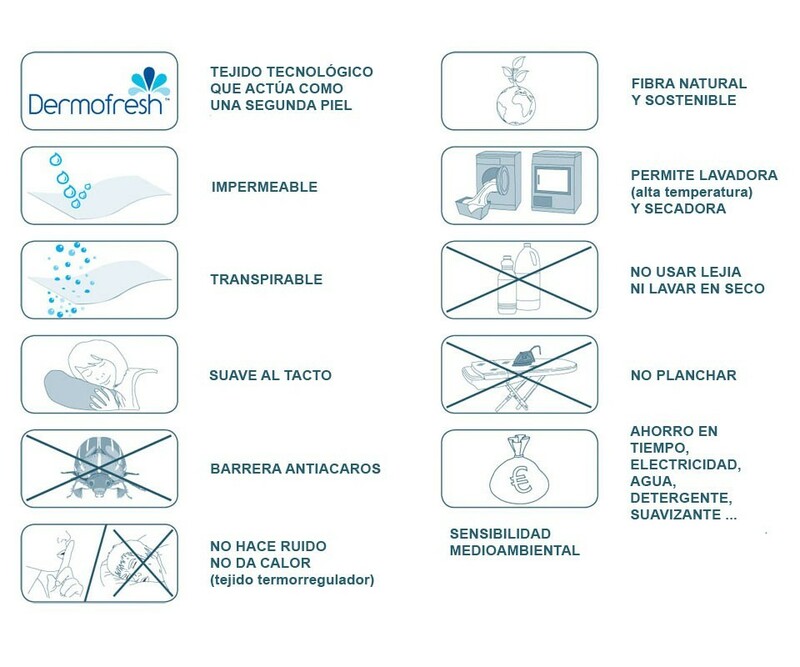 The secret of our fitted sheets lies in the new technology ‘Dermofresh’ – a combination of the natural fabric Tencel with a waterproof membrane which ‘breathes’ and is imperceptible to the touch. 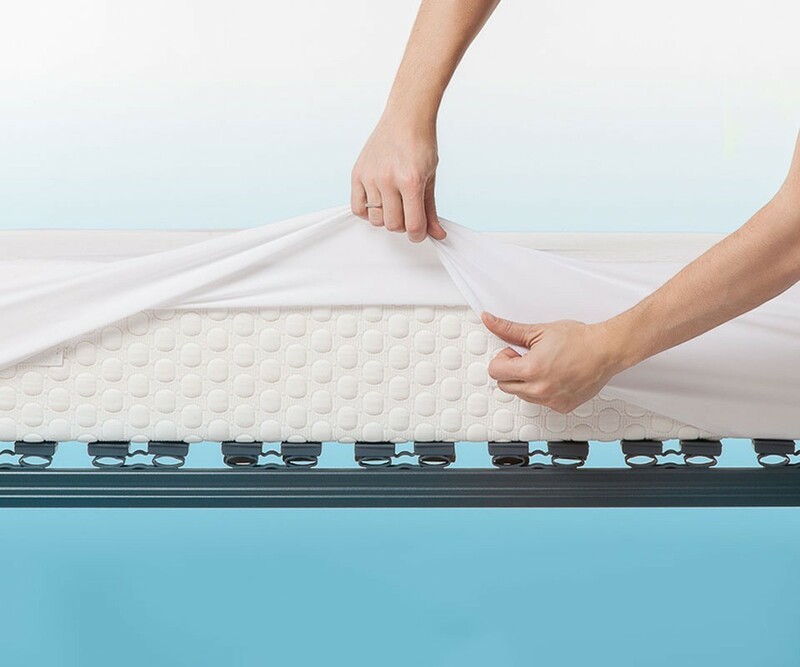 The B-Sensitive cot sheets are hypoallergenic, adjust easily to the shape of the mattress, don’t need ironing and can be machine washed at up to 70 degrees Centigrade. A fitted bedsheet which is soft, 100% natural, waterproof and breathable. The B-Sensitive fitted bed sheet is made of a natural vegetable fibre called Tencel, obtained ecologically from the wood of the eucalyptus tree. Tencel is even softer than cotton and lasts longer, making it the perfect choice for the care of your skin, absorbing and drying more quickly than other natural fibres. The fabric is thermo-regulating, cooler in Summer and warmer in Winter. It is more hygienic too, as it prevents the growth of bacteria in a natural way and without chemical additives. It is ecological, hypoallergenic, and a real luxury for your skin. Why do we recommend this fitted bed sheet so highly? The B-Sensitive fitted bed sheets with 'Dermofresh' technology are waterproof thanks to a micro-membrane specially incorporated into the interior facing of the sheet. We call this membrane ´ Second Skin ´, because it is imperceptible to the touch, ‘breathes’, and is totally waterproof – just like a second skin! Thanks to its special microstructure you don’t see it, it makes no noise and doesn’t create heat. 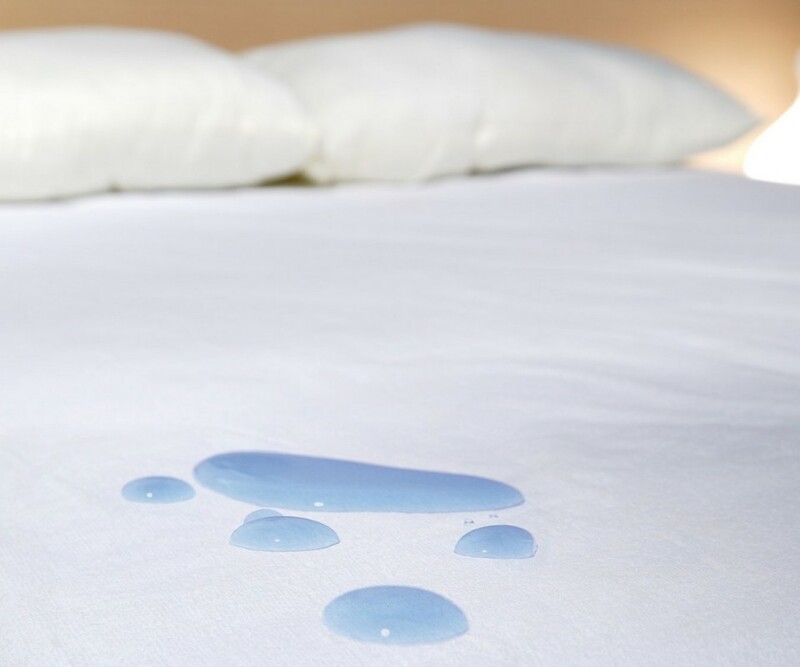 This sheet has all the comfort of a sheet which is natural, it ‘breathes’ but avoids the passing of liquids onto the mattress. ‘Two for the price of one ‘, this is a naturally made sheet which at the same time protects your mattress. 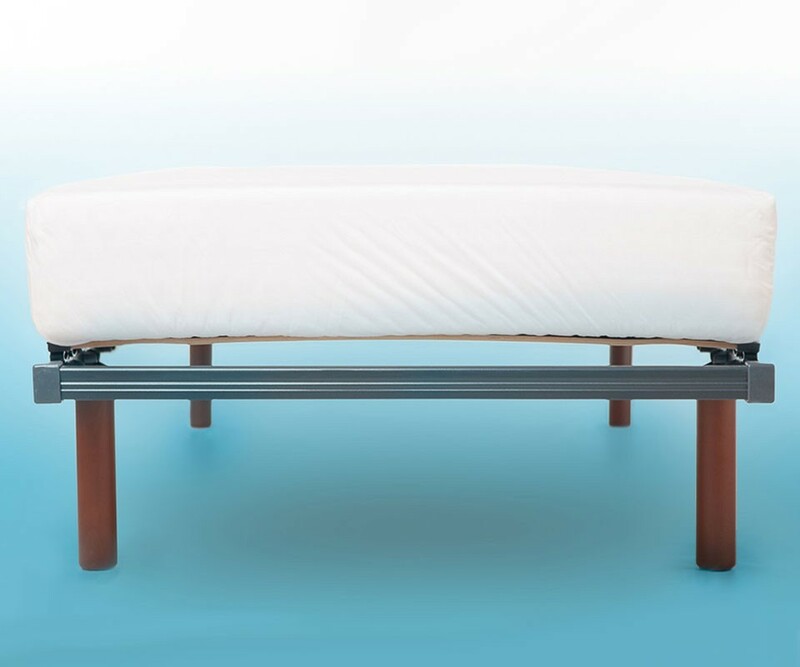 You won´t need a mattress protector anymore! 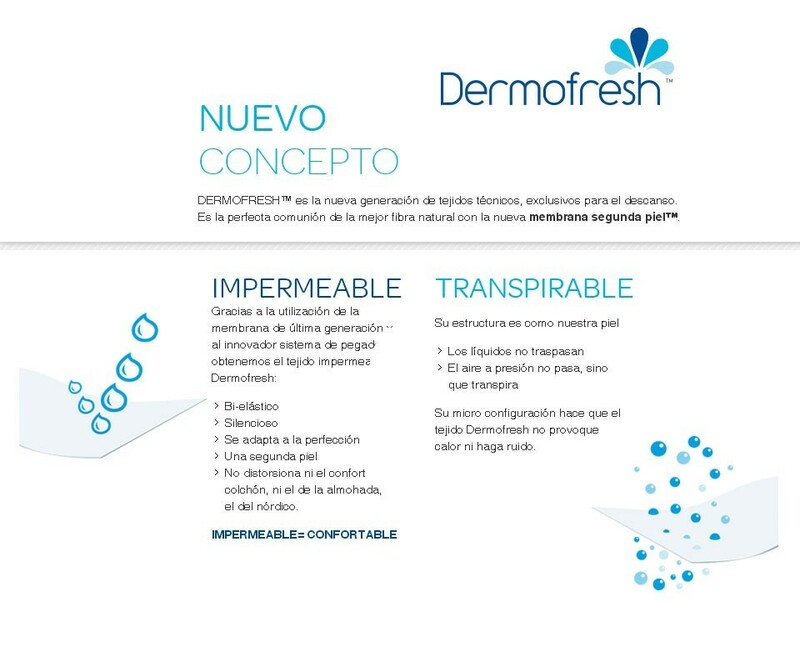 Find out more about 'Dermofresh' technology. Why are the fitted B-Sensitive bed sheets the best choice for your bed? They are much more than a simple bed sheet; they are made from natural fibres, which are stronger, softer and more long-lasting than cotton, they are waterproof, they ‘breath’ and they even protect your mattress. 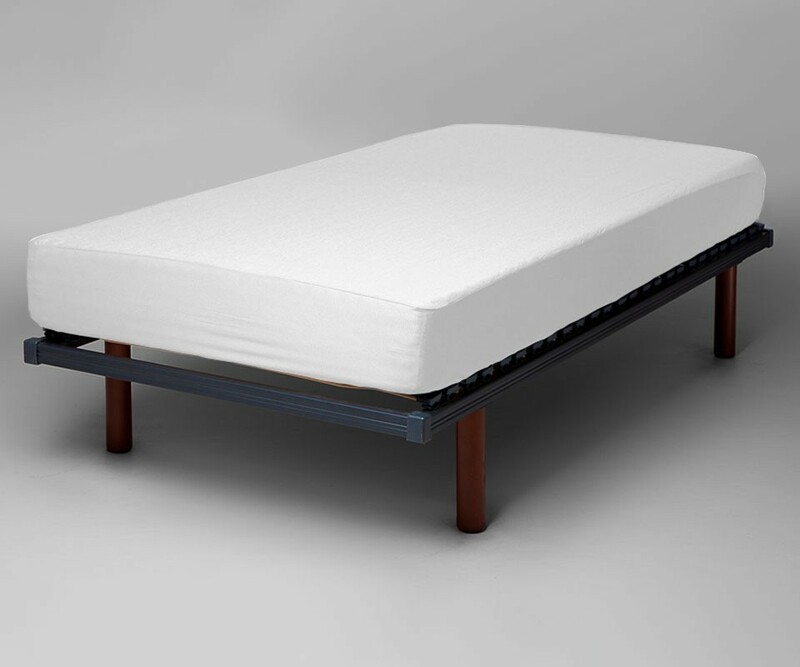 And if you know that their fabric is obtained using a manufacturing process which is totally ecological, and is free of pesticides and chemical products, this makes our fitted sheets even more suitable for your bed. The B-Sensitive fitted sheets are hypoallergenic, take care of you and are recommended for sensitive skins, dermatitis or asthma. 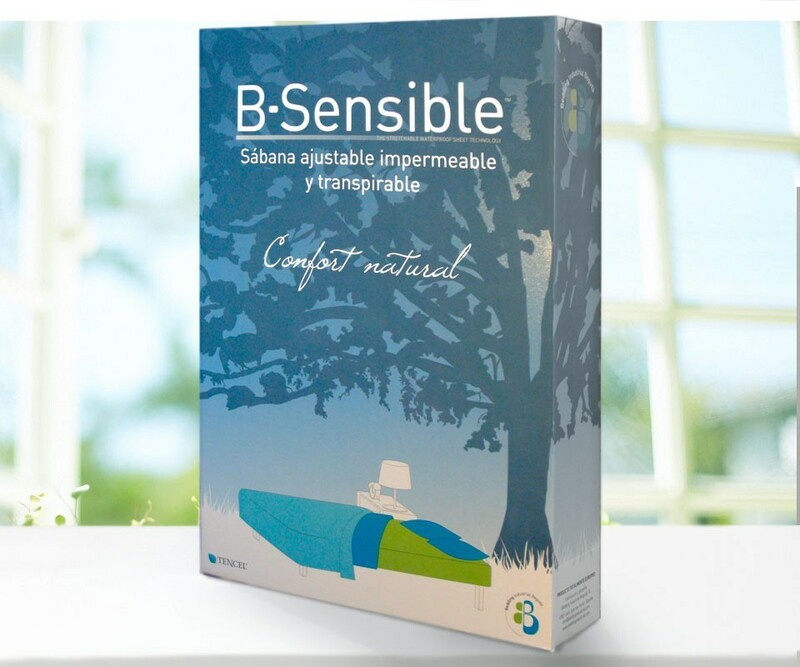 Neither must we forget that these B-sensitive fitted bed sheets are certified by,’ THE EUROPEAN ECO-LABEL’, OEKO-TEX and are also guaranteed by the best European laboratories, HOHENTEIN (Germany ), ITF (France) and AITEX (Spain). These bed sheets offer a complete guarantee! They are the perfect choice for the comfort and nighttime rest of you and your family.